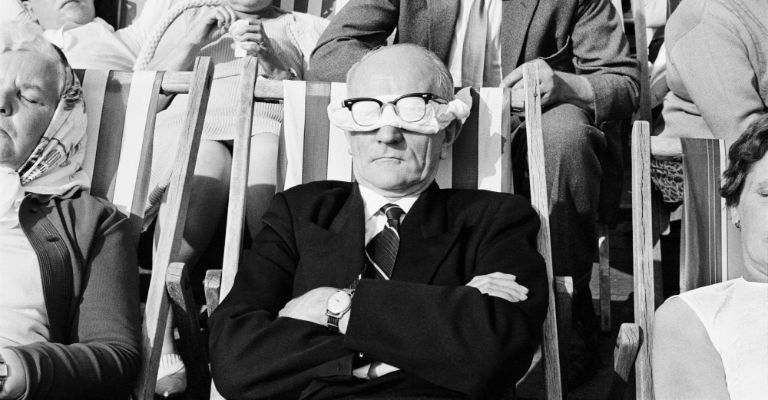 Tony Ray-Jones spent the latter half of the 1960’s travelling around England, photographing what he saw and becoming fascinating by the strange eccentricities of our social customs. Tragically, Tony died at the age of 30 in 1972 from leukaemia, but his works have had a profound impact on fellow photographer Martin Parr. Only in England, which runs at the Bowes Museum until 7th May, sees Parr selecting some of Tony’s best works to be put on display alongside some of his own black and white photos. The result is a fascinating, often cheekily humorous look into a time gone by, and a glimpse into what it means to be English, as told by two singular photographers. Born in the La Segarra region of Catalonia, writer Joan Margarit first published his work in Spanish. After four successful books though, he began writing in his native Catalan, and has gone on to achieve great success, and in 2008 he earned the Premio Nacional de Poesía del Estado Español, Spain’s highest literary award. Last year, Bloodaxe Books published a translation of his book ‘Love Is A Place,’ with includes poetry from three of is Catalan collections. On this special evening, Joan will be joined by the translator of the collection, Anna Crowe, to talk about and read from the work. Following on from his multi-award-winning shows ‘Bravo Figaro’ and ‘Cuckooed’, Mark Thomas is completing his trilogy of new productions with ‘The Red Shed.’ It’s a story of strikes, fights, dinner ladies and Communists (with some naff beer, decent beer, burgers and a few picket lines in there too). In a twist, Mark will be involving the audience in the show, but don’t worry, it won’t be cringey. Instead, he just needs some audience members to help recreated the titular Red Shed. It really puts the community in this tale of community spirit. Opera North is back for another run of shows at the Theatre Royal in Newcastle, and this time the theme is fairy tales. It all kicks off on 1st March with Hansel & Gretel, and then continues on the 3rd with The Snow Maiden. In between all of that though is Rossini’s version of the classic tale Cinderella. This is no standard opera though – instead, all of the characters have been brought to life as magical creations, with Cinderella’s stepfather Don Magnifico and the Prince’s servant Dandini being particular comic highlights. If you’ve never seen an opera before, Opera North are giving you a good place to kick off an obsession! It’s Spain, 1936. Fascism was threatening the Spanish people, threatening not only their way of life but also casting the lingering menace of war across Europe. But one daredevil is determined to fight for freedom. Following the success of Townsend Productions’ version of ‘The Ragged Trousered Philanthropists,’ ‘Dare Devil Rides To Jarama’ tells the extraordinary tale of Clem “Dare Devil” Beckett, a courageous and indeed daring speedway driver who joins the International Brigades to fight against the tyranny of General Franco’s army. Celebrating the 80th anniversary of the Brigades’ creation, this production – featuring contemporaneous songs, live music and poetry – will stir you heart. Have you seen David Watson’s exhibition of work at Woodhorn Museum? If not, you’ve literally only got until 5th March to see it! David’s works resonate with Woodhorn’s colliery heritage, as he’s spent his life immersed in, and making paintings about, the connected industries of steel, shipbuilding and the nearby coalfields. Like the Pitmen Painters of the Ashington, David captures the working lives of times gone by for future generations in a sensitive and sincere way. This month sees the opening of not one, not two but three new exhibitions at mima in Middlesbrough. The first is an ongoing reshaping of mima’s brand from Kellenberger-White, who will be offering seasonal displays drawn from archive materials, workshops and consultations across 2017. Peru-born, Spain-based artist Daniela Ortiz addresses nationality, colonialism, race and class in her work, looking at the politics of citizenship by using her own experiences as an immigrant to examine national and migratory controls systems (a very timely exhibition indeed). Finally, Stephen Willats has been a pioneer of conceptual art for years, and has been a significant contributor to the development of computing since the early 1960’s. His new exhibition revisits a collaboration between Willats and the Middlesbrough Art Gallery from 1997, using various pieces from 1970 until the present day to explore the connection between personal narratives and social conditions.